The Catalyst Group Consulting, vis its Dialog Group ™ consultants offers in-depth plant operating experience in refining, chemicals, and thermoplastics based on its broad and deep catalytic process experience. The optimization of plant operations offers direct, tangible and measureable bottom line benefits, often in the $$$ millions! 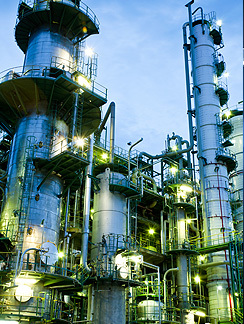 We can offer operational troubleshooting in all refining processes, from FCC, hydroprocessing/hydrocracking, reforming, isomerization, Claus, dewaxing and others to chemicals, syngas and derivatives, methanol, ammonia and hydrogen. We also provide operational solutions in thermal crackers and olefins, as well as alternatives olefins production, including dehydrogenation. Our solutions include areas such as polyolefins, PET, and rubbers. We can provide you with independent expertise apart from either catalyst producers or licensors, so that you can develop your own best strategy and profitability profiles. Methodology. Proven experienced plant operators with decades of experience in unit operations. Many from Fortune 100 companies who have been responsible for their past companies internal training programs and understand the optimization procedures, as well as the trouble shooting guidelines required. TCGR can also offer these same experts, to do in-house training programs for your own employees directly, or if you have a more time sensitive problem directly work with your plant operations to solve real-world practical manufacturing issues. Our clients include leading catalyst companies, licensors and major refiners and chemical companies worldwide. Therefore we are in a unique position not only to obtain information beyond the public domain, but also to leverage our expertise and 35+ years’ experience to assist you improve the profitability of your operations. Our consultants come from UOP, ExxonMobil and others known for their operational excellence.